Some say that it refers to the concept that it is better not to do work while the Menorah is burning. Others say it refers to resting from going to battle. Others explain that we learn the primary purpose of the Jews was not to win the war to be victorious. 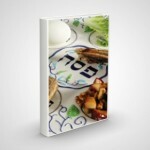 Their goal was to do what was necessary to enable them to focus on Torah and mitzvos properly. Ben Yehoyada explains that is why it is not called ‘Nochuka.’ That would mean rest from battle. 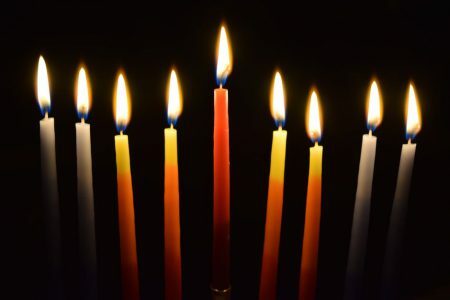 It could mislead us to think that we should rest from work on Chanukah, as on Shabbos. Rather, ‘Chanu-kah teaches us that the main purpose is to appreciate that Hashem chose to grant us His favor. [Similar to “Noach finds favor in the eyes of Hashem,” Bereishis 6:8]. The Sages also wanted the ‘Cheis’ to be the first letter to highlight that the eight days are significant. Rashi explains the Gemara’s question: For which miracle did they establish the holiday? There was an open miracle of a small amount of oil lasting for eight days, or the seemingly greater, but concealed, miracle of 13 people overcoming and winning against thousands and thousands of soldiers…? The Ramban, Shemos 13:16 explains, “From open miracles a person learns to recognize the hidden ones…” A concealed miracle may be for the purpose of saving people. The open miracle, however, may not actually be necessary in a functional way, but it teaches us openly that Hashem is in control of everything. He runs the world. He makes everything occur and He can change whatever He chooses to do! Hashem could have left enough oil hidden to last for eight days. Instead, He chose to bring about an open miracle in order to open up our eyes that every battle the Jews won was miraculous. Thus, the Sages established Chanukah because of the miracle of the oil which opens the door to recognize all of the miracles! Click here to download the complete ebooklet.